Find the best website builder for your small business, startup or entrepreneur website. Let our real human user ratings guide you in comparing the features and benefits of different platforms like Adobe Spark, Wix, Weebly, Squarespace and others. But creating a website doesn’t have to be so difficult. In fact, there are plenty of online tools allowing you to create a professional business site without having any coding knowledge or funds for a developer. This is exactly what a website builder allows you to do. It’s exactly as simple as it sounds. A good website builder will allow you to build, customize and create without any development knowledge. There are dozens of features which allow you to do this in an intuitive way, some of them useful, others vital. Nowadays, many developers actually prefer to use website builders to eliminate time-consuming and unnecessary manual work. You don’t need any coding experience or web design skills to use a website builder. And, if you use the right one for your site, you can easily build a professional business site that follows mobile-friendly best practices, allows you to build an online store, and integrates social media for social sharing opportunities. In addition, a reliable, high-quality website builder will come SEO optimized, so your website can get found in search engine results. For those looking for a low cost, effective way to build a business website from the ground up, website builders offer the best opportunity to do just that. They’re also perfect for those who want to launch a website quickly, feel intimidated by building a website or want someone else to handle the management of their website. Website builders have two main features that make them an attractive option for people with no coding experience. This comes in the form of pre-made templates and drag-and-drop editors. Alongside these two, the full list is completed by a number of other noteworthy tools. But how exactly do these support you? Pre-made templates eliminate the need for structural development, which is often what takes the longest. Coding a responsive website is a whole new project – this is already included with most templates and themes. The drag-and-drop feature allows you to pick and choose from a huge variety of pre-set items. Shortcodes readily available for various media content, such as videos. Using a website builder will save you hours and hours of your precious time. Alongside time, you’ll end up saving money – a large chunk at that. Developers are expensive. Some website builders offer stock images, giving you a large directory of free-to-use images. Website builders give you a structure with pre-set optimization for search engines, providing a good start for some solid SEO work. As opposed to a custom site, website builders allow you to install nifty plugins, with equally nifty features on the back of them. Show them off! Nearly all website builders rely on templates. Templates dictate how your website will look in terms of colors and fonts. They can be easily customized, usually through a template design panel that lets you change the colors and fonts with just a few clicks. Modern website builders usually have hundreds of templates to choose from, which allows you to achieve a unique look and avoid having your design mirrored by numerous competitors. Check out the templates before you sign up to get a feel for how your site will look. They come as self-contained zip files that you download onto your website and are made up of multiple files, including some templates. Although often confused with a website theme, a web template is a page layout within a theme. In fact, it only refers to the single page layout, not the web design of the entire site. Some of the most popular templates, whether standalone or contained within a theme, include post archives, individual blog posts, and special page templates such as the contact page. Wix offers a great range of templates and categories. You can apply templates to sole pages on your website. Usually, templates come built into website builders so you have everything you need to piece an entire website together. However, they can come as self-contained zip files as well. The concept of being mobile friendly applies to both website themes and templates. That’s because both aim to give site visitors on mobile devices the best user experience possible. They adjust depending on the device – mobile phone, tablet, or laptop – and apply the site’s design in a way that can easily be seen on a smaller screen. More specifically, they reduce the amount of scrolling, zooming, and resizing that a site visitor has to do while viewing your website on a mobile device. Website builders also come with a drag-and-drop What You See Is What You Get (WYSIWYG) editor. This lets you drag page elements and drop them to where you’d like them to appear, much like creating a layout in Word. Many also give you the chance to create duplicate pages so you can apply a page design to multiple pages on your site, making site building even easier. They make web building efficient and easy, even for those that have never created a website before. You can easily add images, text blocks, headers, audio, video, and dynamic content, just by dragging the elements around on the page. Simply create multiple pages to make up your entire website. Every website on the internet has a domain name. A domain name is a URL that people enter into their browser when they want to visit a website. Every website has their own unique domain name, and your business website is no different. There are many places to buy a domain name and register it. After all, domain names don’t come for free, and you need to make sure the one you choose is truly unique before you can use it. It’s also important you don’t have a domain name that violates an existing copyright or trademark. Make it easy to type and remember. Avoid using slang or phrases that people won’t understand or won’t be meaningful in the future. Try to make it shorter than longer. Choose your extension carefully (.com, .net, .gov, .org, etc.). Make it unique to your business so it matches your brand. Avoid using numbers to prevent confusion. If you are strapped for ideas, try some recommended domain name generators. When you buy a domain name, whether it’s through your web host, the company you bought your site builder with or a third-party company that only sells domain names, remember it’s only good for one year. It must be renewed each year if you want to continue using it. And, if you let it expire, it can be difficult to get it back, if not impossible if someone else registers it as their own. Many web hosting providers give their customers a free domain name and registration for the first year. In fact, some website builders come with free domain name services as well for the first year of service. You might even be aware that some free website builders provide their customers with a domain name, also free of charge, but for a lifetime. However, those domain names often have the website builder brand built into them, which can make your business site seem less than professional. For instance, if you use the WordPress.com CMS website builder, your domain name will look something like this: www.mywebsite.wordpress.com. As mentioned above, choosing your domain extension, or top-level domain (TLD), is important. This is the last portion of your domain name that comes after the (dot) in the address. It most often refers to the type of organization associated with it and its main purpose. In addition, there are top-level domains that can relate to specific countries if your target audience is located in a specific geographic location. For instance, .au represents Australia, .ca means Canada, and .th means Thailand, and so forth. You don’t need to install anything on your computer. You can work on your website from anywhere, as long as you have an Internet connection. The host is responsible for updating software and scripts for you. Web hosting is included in the price. Some website builders also come with a free domain name. You don’t need to know any code (but knowing some basic HTML and CSS will help). There are lots of options out there for bloggers, businesses, and retailers. SEO, or search engine optimization, is the process of getting organic traffic from search engines such as Google, Bing, and Yahoo to your website. Your business site’s pages will appear in search results according to people’s queries. They show in order of importance, according to the search engines, and play a large role in the amount of traffic that comes to your site and how successful your business is. The more you focus on your site’s SEO, the higher your website will show in search results. The goal is to get on the first page of any search result so that the most people possible will see your site when they enter a search query. Though the most important factor in ranking well in search results is producing consistent, high-quality content, you can use a website builder that comes SEO optimized to help you rank higher in search results too. For instance, use a website builder that is created using a solid code, comes with built-in SEO optimization tools, and has responsive web design which is a high ranking factor with Google. If you run an e-commerce site, make sure your website builder comes with SSL certificates (especially if you run an eCommerce shop), helps you make pretty URL permalinks, and lets you add meta tags to both pages and images. Also, check to see if the site builder you’re considering lets you create a sitemap of your website to submit to major search engines and has breadcrumb capability, which helps with user navigation, the time people spend on your website, and ultimately your search engine rankings. Another important factor that comes into whether your website will appear in search engine results, is its ability to integrate with social media platforms such as Facebook. For instance, Shopify’s website builder, designed specifically for those with online stores, lets you sell your company’s products right from your Facebook pages. This expands your audience reach, helps generate more sales, and provides more link juice for Google and other major search engines so your site ranks higher when people search for what you have to offer. Proprietary Online Website Builders – this is a complete package that includes a website builder, templates, and hosting for your website. Website builders provided by a hosting company – some hosting companies have their own website builders that you can use to build your website. Content Management Systems – usually referred to as a CMS. The CMS itself is free to download and use but you have to purchase a hosting plan and then install the CMS onto your hosting server. Let’s take a look at each of these options more in-depth. As mentioned, proprietary website builders include everything you need to get your website up and running. They provide you with the platform, the templates, and the hosting, and most of them even include a free domain or allow you to purchase one. They take care of the technical aspects so you can focus on creating and launching your site. Some of the most popular standalone website builders are Weebly, WIX, Jimdo, IM Creator, Squarespace, Shopify, Webnode, and WebsiteBuilder. Wix is one of the largest premium website builders around. It has hundreds of templates to choose from, that are perfect for small businesses, photographers, and even freelancers. The templates come with plenty of customization options so you can create a site to fit your needs. Its templates are also responsive, which means your website will look good on mobile devices. Plus, the interface is easy to use, and some plans to support e-commerce shops. This cloud-based website builder is a fully hosted solution and comes with advanced drag and drop technology so building your site is a cinch. One of the most unique things about Wix is that it comes with dozens of free and paid apps that you can install on your website to add to the overall design and functionality of your site. This is great because many website builders come with limited web design and functionality. Another standout feature is Wix’s Artificial Design Intelligence. Using an advanced algorithm, the Wix ADI asks website owners a few simple questions and based on their answers creates a unique website from billions of possible combinations. It also collects information from across the web and social media for relevant content you can use as is on your own site or customize as you see fit. Lastly, Wix websites don’t automatically come with an email account. You must purchase a premium Wix plan or buy their “Mailbox” add-on plan. Weebly offers responsive templates and an easy-to-use website builder. You can customize the fonts, sizes, and text colors. Weebly also includes basic e-commerce functionality with PayPal or Google Checkout integration. If you’re code-savvy, you can even dig into the HTML and CSS for greater customization. Weebly comes fully hosted, as all proprietary website builders do, in addition to dozens of web designs to use for inspiration. Though there aren’t nearly as many website templates to choose from as Wix provides, which is nearly 500, you can easily customize any of Weebly’s designs using the live editor. It also comes packed with built-in features such as contact forms, photo galleries, sliders, and more. This website builder solution also comes with a free email account, which is great for those that are running a business site and want their email hosted with their site’s data and professionally branded. Weebly’s help center can help you troubleshoot issues using their extensive articles and guides. They is also a support center that includes a support ticketing system, phone number to call them, and a forum. Some of the issues you might run into when using Weebly include the fact that you are locked into using only the features they provide, so you cannot add any custom design or functionality to your site, even if you hire a developer. In addition, on the lowest priced plans, Weebly charges a percentage of any revenue you generate through your eCommerce shop. However, premium plans don’t charge any transaction fees. Jimdo is incredibly simple to use. Jimdo lets you create a website or a Jimdo Online Store. Its templates are optimized for search engines. Jimdo also has a mobile app for both Android and iOS, allowing you to manage your website even if you are away from your computer. Squarespace has a user-friendly builder interface and beautiful responsive templates. You can use Squarespace to build a simple landing page or a full business website. Its plans also allow you to sell your products, and it offers integration with Stripe and PayPal for payment processing. Webnode boasts more than 27 million registered users, making it one of the larger players in the website builder market. You can easily create a multilingual website, which sets Webnode apart from its competitors. It also deserves praise for making it easy to create a backup of your website and restore it if needed. WebsiteBuilder is a relatively new platform that boasts an impressive number of templates. You can set up an online store thanks to its integration with Ecwid, or create a business or personal website if you prefer. Many hosting providers offer some form of a website builder on their shared hosting plans. These are bundled with templates but tend to be limited in terms of customization. If you decide to use a website builder from your host, make sure that the host will export your content if you decide that it’s not right for you. Build an online store, add your customers’ favorite social media platforms, and integrate Square right into your website for collecting payments online, offline in person, or with all major credit cards. In addition, you can enable appointment scheduling, add a menu or price list, and allow customers to make reservations online if you own a restaurant. You can also add an email subscription form for building your email list and up your marketing efforts, make sure people can get in touch with you using the built-in contact form, and even add a photo gallery of images to entice people to buy your products or hire you. Lastly, add an events calendar, embed video content, and even add your SoundCloud tracks or podcasts for site visitors to see. A unique feature that GoCentral has is the ability to create a Facebook business page from your site’s content automatically. It also recommends updates when you make changes to your website so your Facebook business page is always up to date. Not to mention, in order to help you build your business, the GoCentral website builder comes with a PayPal or Donate button, a free SSL certificate so customers know their sensitive personal and financial data is secure, and SEO optimization for getting found in search results. Unfortunately, despite GoDaddy being the biggest domain name registrars in the world, you don’t get a domain name with the GoCentral website builder. Additionally, you only have the option to add a navigation menu that is one level deep, there is no app store to use, and there is no email support, which is something many businesses rely on. Content management systems are not website builders as such, but they fall into a similar category. The most popular content management systems are WordPress, Joomla, and Drupal. Before we cover these in more depth, let’s compare them side-by-side. A CMS can be used to create a simple website or a more complex site with an integrated e-commerce store. CMSs offer the most amount of flexibility and control, but the learning curve is steeper than with a simple site builder tool. Aside from the numerous templates available, CMSs can be expanded with plugins or extensions. WordPress powers 28% of all websites that we know about. It’s famous for its five-minute installation, but most hosting companies offer one-click installation of WordPress that makes it even quicker. WordPress is more complex than online website builders, but it’s still easy to learn. The editor allows you to publish posts and pages using an interface similar to Microsoft Word. A selection of WordPress plugins and the dashboard. You can use it to create an e-commerce website with the WooCommerce plugin, or you can create your own social network with the BuddyPress plugin. There are hundreds of themes and plugins available for WordPress, both free and paid. The community behind WordPress is huge. You can tap into expert help from the official support forums, or use blogs and tutorials to expand your knowledge. Joomla is more complex than WordPress, but it has a strong community. Like WordPress, there are themes and modules that add extra functionality to your site. Joomla will require you to edit the code manually at times, whereas in WordPress, you can often bypass any coding. Because of its complexity, some developers prefer to use Joomla for more complicated websites that have interactive features. Drupal is the most complex out of the three CMSs. It has a steep learning curve which might prove to be too much for regular users. But it’s a powerful content management system, and it allows you to create any type of site you want. Like Joomla and WordPress, Drupal is free to download. Many hosting companies offer one-click installation. The fact that WhiteHouse.gov uses Drupal speaks volumes about the platform’s security, too. The community behind Drupal is large, with support forums, blogs, and tutorials available readily online. There are several e-commerce website builders that are designed specifically for creating online stores. And, while every solution offers their own unique set of features, it’s important to remember that if you collect payments via credit cards, you’ll need an SSL certificate to secure the data that is transferring between your website and your customer’s browser. This is especially true if you want to be PCI compliant. That said, if you accept payments using an off-site payment processor such as PayPal, you are not required to have an SSL certificate. However, they do help add an extra layer of security on your e-commerce shop, as well as instill a sense of trust in your customers. The most popular ones include Shopify, Bigcommerce, and Volusion. Shopify is a website builder designed specifically for e-commerce websites and provides templates optimized for selling online. As a result, it powers more than half a million businesses and has over 1 million active users. In fact, $40 billion dollars worth of online store products have been sold using Shopify. This fully hosted solution makes managing your online store easy because you don’t have to worry about things like managing software, installing updates, or backing up your site. Instead, Shopify does all this for you, reducing the costs of managing your business site. It also integrates an exclusive payment solution called Shopify Payments, though you can add third-party payment gateways to your site to accepts other forms of payment too. Not to mention, since this website builder solution focuses on nothing but online store creation, you’ll always have the features needed to run a successful e-commerce shop, unlike other website builder solutions that simply add some online shop features to your website. Manage your shop’s inventory, sell an unlimited amount of products, access powerful stats related to your online store’s success, and even utilize the built-in marketing tools for reaching a wider audience and generating more sales. T make things really versatile, Shopify lets you sell products at your brick and mortar shop, even accepting payments in person, which makes expanding your brand, and your customer base a breeze. You can integrate Shopify into the WordPress content management system so you can add a blog section to your online shop and establish more authority amongst your site visitors. Lastly, take advantage of over 100 website templates to design your website, customize the look and feel of your templates to match your brand, and SEO optimization for higher search engine rankings. Bigcommerce is a hosted e-commerce solution that allows businesses to sell their products online. It has a wide variety of customizable templates to help you create a standout store, allows you to sell both digital and physical goods, and even comes with built-in marketing tools to help you grow your business. 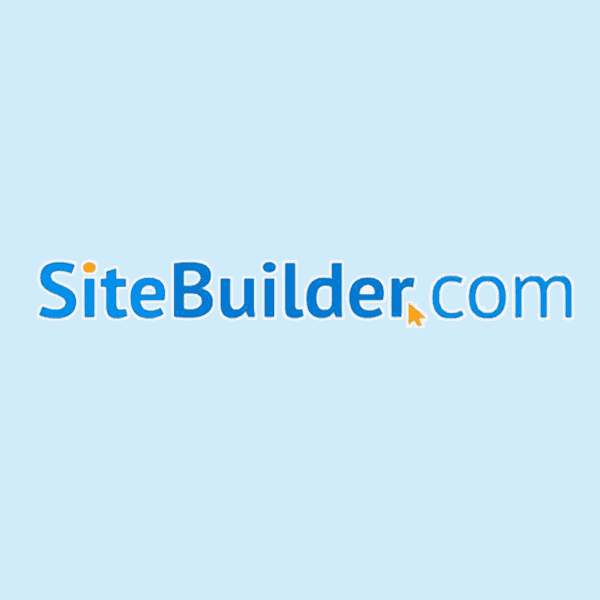 This website builder solution integrates with popular email marketing services, comes with full CMS functionality, works with popular payment gateways such as PayPal, and is SEO optimized to help you get your site found in search results. It also comes with professional reporting so you can make sure your online store is growing at the rate you want it to, and make improvements where needed. Volusion is another popular hosted e-commerce solution aimed at helping small business owners run successful online shops. It tends to focus on the operational side of managing an online store, rather than the marketing side, though it does offer plenty of features. For example, it works with over 30 payment gateways so collecting payment from customers is never an issue. Moreover, they don’t charge transaction fees, which reduces the cost of doing business using this platform. There are fairly strict product limits depending on which plan you opt for, all plans come with social media tools, reporting tools, and 24/7 online support, which many website builders don’t offer. Some website builders offer a free trial with no credit card required, and others are free (though limited) for a lifetime. They often limit the number of web pages you can create limiting your ability to scale. You usually don’t get a domain name, which means there is an additional cost. If you do get a domain name, it often comes branded with company branding, which is not very professional. Company advertisements will appear throughout your website, which may annoy site visitors, or at the very least cause them to buy products other than the ones you’re selling. There is a limit when it comes to bandwidth and storage, affecting your ability to build your site with lots of content and images. Limited or no customer support comes with most things that are free. Feature restrictions are common, with no ability to extend the web design or functionality, even with the help of a developer. As you can see, though free is sometimes enticing, and may work well for those with small businesses not looking to scale, if you truly want to grow a successful business, going with a paid website solution is usually the best option. What kind of websites benefit most from this website builder? How many people currently use this solution? Is there a support team? How easy is it to get in touch with support or customer service? What is the refund policy, or is there a satisfaction guarantee? How much does the website builder cost? What are the main features that come with this solution? Can I customize my website using a hired developer? Do you offer additional features such as an SSL certificate, domain name, or business email account? Does this solution offer any marketing, analytics, or SEO optimization features? How many web design templates are available? Is this a self-hosted or fully hosted solution? If you’ve addressed the above questions and are fairly clear on what you are looking for, you are likely ready to choose a website builder to work with. There is no lack of variety, so one of these listed will surely fit the bill. If you want a website fast, and you’re not a strong coder, try out a few website builders and see if they suit your business’ needs. These platforms are designed for simplicity, and beginners should feel right at home. And, if you need help with growing your business, becoming more successful, or additional tools to help you achieve the business of your dreams, make sure to check out our helpful articles and get inspired today. While we did try and cover most aspects of choosing a website builder, it is inevitable that you’ll have some questions unanswered. Alternatively, you may be simply looking to solve a common query. Can I build my first website alone? Depending on your experience, absolutely. Even if you’ve never touched a piece of computer code, website builder or anything remotely close, you can do it. How? It’s simple. By using free resources provided by pages such as “How To Build a Website“. Step-by-step breakdowns along with the correct explanation and resource recommendations will make it quite a seamless journey. The only thing you must watch out for is the selection of tools. If you haven’t got any developer experience, only use tools which do NOT require any. Is WordPress the best website builder and CMS? It is certainly the most popular website builder, but there is no such thing as best. For many webmasters, WordPress is the best – for them it fulfills the functionality they are looking for and they are familiar with its infrastructure. For others, it’s a nightmare, because they’re used to using Joomla or Drupal. It is entirely down to what suits you. As a newcomer, however, WordPress is definitely a good choice to start with, as opposed to the aforementioned two. 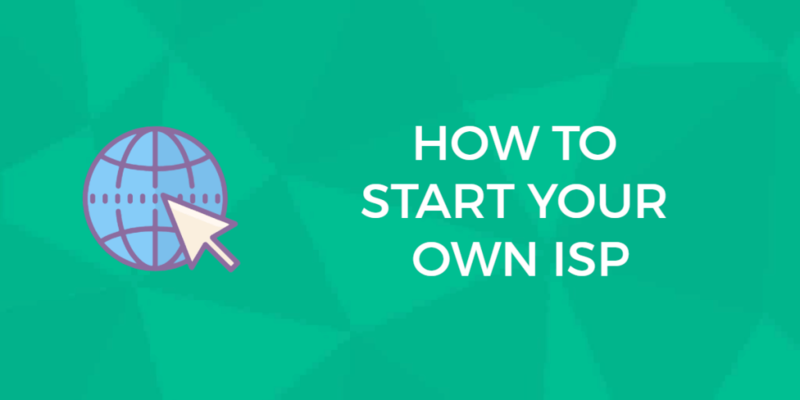 How much does it cost to launch a website from start to finish? They say don’t answer questions with questions, but what counts as finished? If you’re looking to get a website up and running, where your visitors can start experiencing the basic functionalities intended, it’s relatively cheap. After selecting a hosting provider you trust, you’ll need a domain name (if you haven’t yet received one for free). Following this, you’ll need to decide whether you need a developer or not. Similarly to the previous question’s answer, if you are resourceful or have a slight idea of what you’re doing, you won’t spend more than $100. How do I choose the best theme for my blog or website? Firstly, decide as to what your website’s aim is and what category it falls under. Once you’ve got this, it will be fairly intuitive to select a theme/template, seeing as you will automatically prioritize the intuitive nature of your website as a structure. Look at it from your visitors point-of-view. Where would you expect things to be and how would you expect things to work? Once you’ve done this, go and browse. With 100s of themes offered by modern website builders, you are bound to find something that will work for you. Previous: Thawte SSL Review: Free Unlimited Licensing But Can They beat GeoTrust. We Find Out. Next: GATOR Websites Review: Right for Your Small Business?